"Welcome to the Stanford Prison Experiment web site, which features an extensive slide show and information about this classic psychology experiment, including parallels with the abuse of prisoners at Abu Ghraib. What happens when you put good people in an evil place? Does humanity win over evil, or does evil triumph? 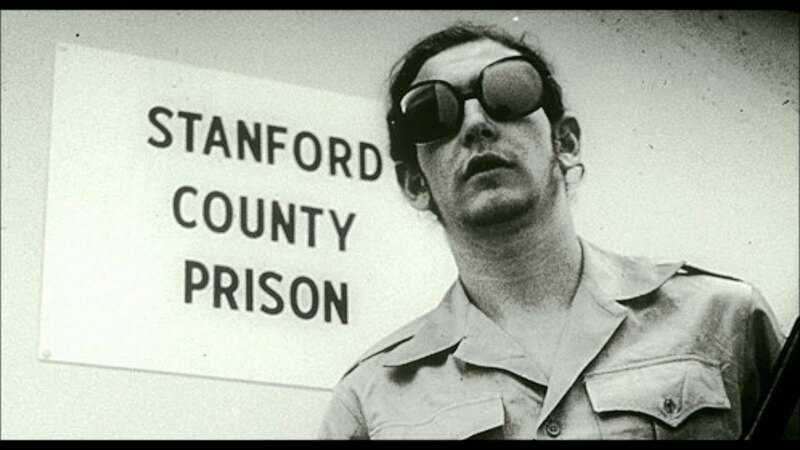 These are some of the questions we posed in this dramatic simulation of prison life conducted in the summer of 1971 at Stanford University. How we went about testing these questions and what we found may astound you. Our planned two–week investigation into the psychology of prison life had to be ended prematurely after only six days because of what the situation was doing to the college students who participated. In only a few days, our guards became sadistic and our prisoners became depressed and showed signs of extreme stress. Please join me on a slide tour describing this experiment and uncovering what it tells us about the nature of human nature." 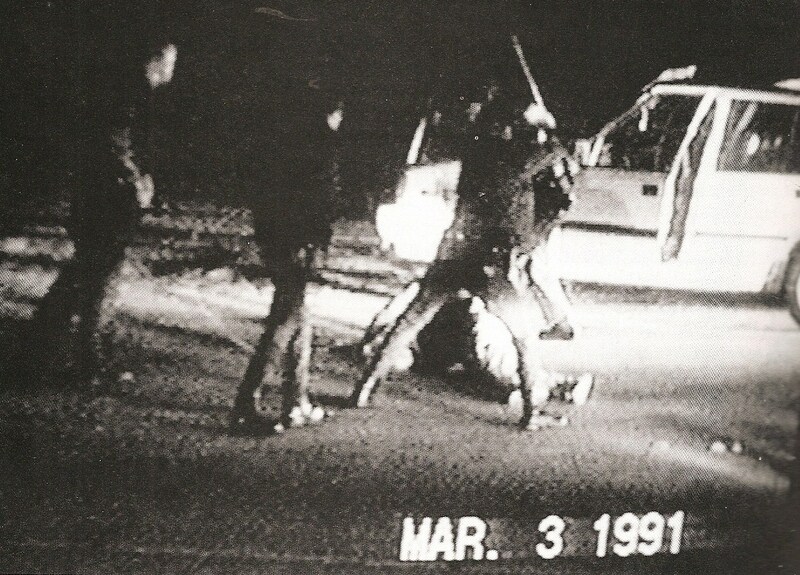 "in March 1991, television screens across the world broadcast [George Holliday's] videotaped footage of LAPD officers raining down 56 baton blows on an African American named Rodney King. ... on April 29, 1992, a jury in Simi Valley, one of the whitest exurbs of Los Angeles, acquitted three of the four officers involved in beating Rodney King. The response in South Los Angeles was loud and immediate: That night, thousands of residents, black and Latino, took to the streets, starting a four–day riot that destroyed more than 1,000 buildings, injured 2,500 people, killed 58, and resulted in $1 billion in damage and 16,000 arrests." "Now that those who practise justice do so involuntarily and because they have not the power to be unjust will best appear if we imagine something of this kind: having given both to the just and the unjust power to do what they will, let us watch and see whither desire will lead them; then we shall discover in the very act the just and unjust man to be proceeding along the same road, following their interest, which all natures deem to be their good, and are only diverted into the path of justice by the force of law. The liberty which we are supposing may be most completely given to them in the form of such a power as is said to have been possessed by Gyges the ancestor of Croesus the Lydian. According to the tradition, Gyges was a shepherd in the service of the king of Lydia; there was a great storm, and an earthquake made an opening in the earth at the place where he was feeding his flock. Amazed at the sight, he descended into the opening, where, among other marvels, he beheld a hollow brazen horse, having doors, at which he stooping and looking in saw a dead body of stature, as appeared to him, more than human, and having nothing on but a gold ring; this he took from the finger of the dead and reascended. Now the shepherds met together, according to custom, that they might send their monthly report about the flocks to the king; into their assembly he came having the ring on his finger, and as he was sitting among them he chanced to turn the collet of the ring inside his hand, when instantly he became invisible to the rest of the company and they began to speak of him as if he were no longer present. He was astonished at this, and again touching the ring he turned the collet outwards and reappeared; he made several trials of the ring, and always with the same result–when he turned the collet inwards he became invisible, when outwards he reappeared. Whereupon he contrived to be chosen one of the messengers who were sent to the court; where as soon as he arrived he seduced the queen, and with her help conspired against the king and slew him, and took the kingdom. Suppose now that there were two such magic rings, and the just put on one of them and the unjust the other;,no man can be imagined to be of such an iron nature that he would stand fast in justice. No man would keep his hands off what was not his own when he could safely take what he liked out of the market, or go into houses and lie with any one at his pleasure, or kill or release from prison whom he would, and in all respects be like a God among men. Then the actions of the just would be as the actions of the unjust; they would both come at last to the same point. And this we may truly affirm to be a great proof that a man is just, not willingly or because he thinks that justice is any good to him individually, but of necessity, for wherever any one thinks that he can safely be unjust, there he is unjust. For all men believe in their hearts that injustice is far more profitable to the individual than justice, and he who argues as I have been supposing, will say that they are right. If you could imagine any one obtaining this power of becoming invisible, and never doing any wrong or touching what was another's, he would be thought by the lookers–on to be a most wretched idiot, although they would praise him to one another's faces, and keep up appearances with one another from a fear that they too might suffer injustice."